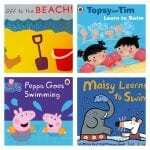 How can parents teach their children to swim? Do kids need swim lessons? How can I teach my own child to swim? Parents often ask how they can teach their own child to swim, even if they are not good or confident swimmers themselves. Some parents question whether an external teacher or classes are really necessary. Parents teach their children many things everyday and you may think why swimming should be no different. But teaching swimming can be more complex than most people think. Knowing how to keep the process of learning to swim progressive and efficient, requires a mixture of science and creativity. 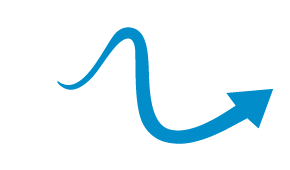 If you know the science of swimming, the principles of teaching and have a good grasp of child psychology, plus, if you think your child will follow your instructions repeatedly without you or your child running out of patience, you may both find the learn to swim experience rewarding and successful. But it’s worth bearing in mind that there is a risk of getting it wrong and putting your child off swimming for a very long time or for a life time. Over the years I have taught many nervous children whose parents had tried teaching them to swim first before enrolling them into swim lessons. It’s not unusual to hear that a parent’s ‘pushiness’ has completely put the child off swimming. Even with the best of intentions, parents may sometimes get it wrong. For example a water confident parent might think forcing their child’s face in the water is a good tactic to teach water-confidence but it rarely is and often results in children refusing to allow water near their faces in future. 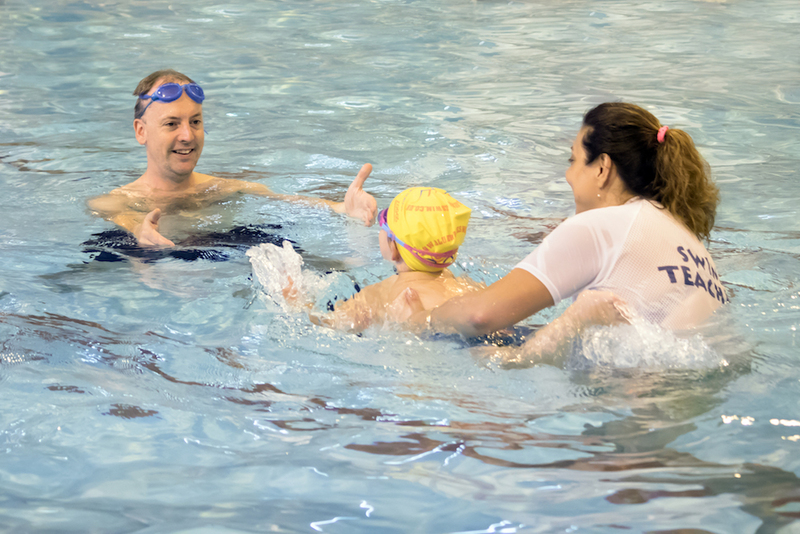 Experienced swim teachers know how difficult it is to build trust with a child in water and this process cannot be rushed. If a parent knows how to swim but, doesn’t have any experience teaching it, the risk of pushing a child too fast at the beginning is very high. An out-of-pace start could make children feel unhappy and unsure about being in water and swimming in general. 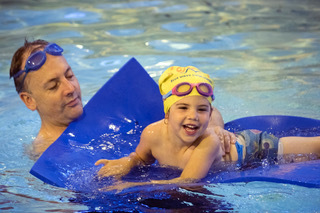 That’s why most people enrol their kids in swimming lessons because professional swim instructors have the right experience and training to know what to do and when to do different activities. 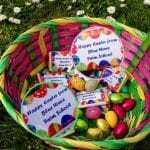 I am a swimming teacher and have a very plaisid child and yet she did more for a swimming instructor than she would ever do for me. There is a difference between swimming with mum and swimming with a group. So for me despite my working knowledge my child needed lesson. And yes I was gutted. Thank you Wendy for your comment! thank u about this post..
Hi Majid, you are welcome! 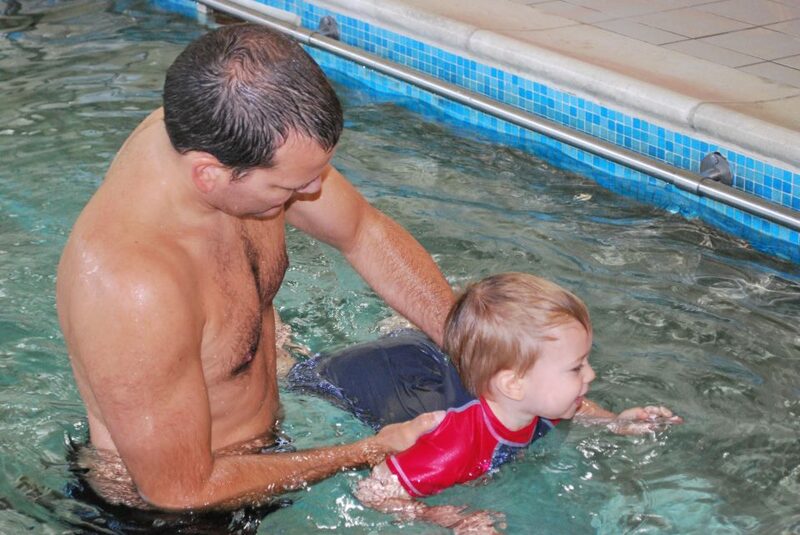 It’s great if parents take on the responsibility of understanding their child needs to learn aquatic skills. One of the best roles they can undertake is to teach consistent behaviour around water. I am a swim teacher of 30+ years experience & now enjoy taking my grandchildren to aquatic venues. But we have rules – toilet first, then sit together & watch what is going on for a minute or so – this prevents children running straight into the water after changing. Then we enter slowly (that’s always difficult) & we allow them to explore under our close supervision. We simply model behaviours we’d like them to copy like submerging happily, lying around on our backs, floating & kicking & Lo & behold they simply copy in their own time with no pressure. We take them to experience different venues, water depths & temperatures, entry & exits. And yes they also have lessons as that’s when they learn that sometimes you have to follow all the instructions & work with others.